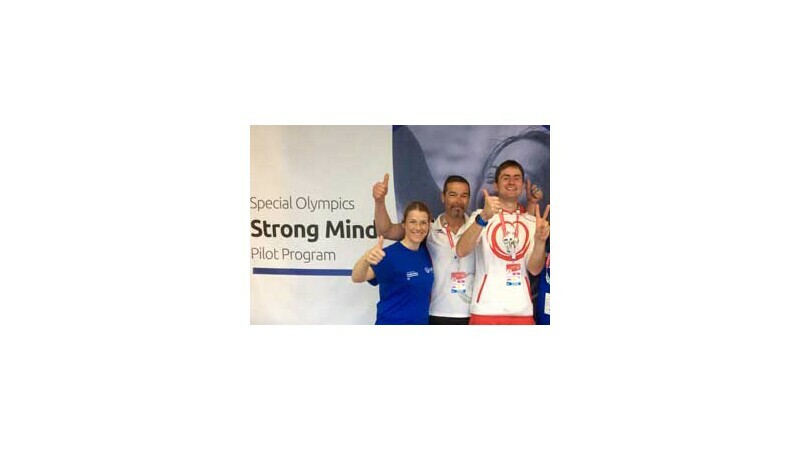 The Special Olympics Strong Minds is a new pilot program, part of Special Olympics Health. It is being introduced to the athletes here in Austria for the first time at a World Games. It aims to teach athletes mental exercises and provide resources to increase relaxation and stress management skills. The importance of fitness and a health body cannot be underestimated for an athlete. However, all can be lost if they are not equipped to manage the stress that comes with performing and competing. "Strong Minds is a program focused on the positive'" Dr. Schwarz explains. "We are not looking for a deficit in the athlete, instead we try to identify the good resources they have within themselves to manage stressful situations. It empowers them to understand how they can help themselves and gives them the coping strategies to do so." James Richardson has been involved in Special Olympics for many years. He originally represented SO Germany achieving great success in running and also enjoys many other sports such a cycling and mountain climbing. He's here at World Winter Games representing the host nation Austria in Cross Country Skiing and has already secured a silver medal in the 5,000m and a bronze in the 10k race. "For me this World Games has been the best ever. There are great athletes beside me, I get to compete against the best." James' passion and success has influenced his family. Younger sister, Jennifer, has decided to pursue a career in education, currently working as a classroom assistant to children with intellectual disabilities. James really engaged at each station of the Strong Minds Program, his favorite being Strong Messages. "It helped me find a way to put my positive thoughts into words that I can then use to help me control stress when needed." He hopes to implement a number of the tools he learned about in Strong Minds into his plan. "Each part of this program will give the athlete something they can draw on in times of stress or even to prevent stress," says Dr. Schwarz. "For example in Strong Supporting, people can find ways to support each other, and by giving support you are actually helping yourself. For an athlete this is very important when cheering on your teammates to be their best." After the World Games, the volunteers being trained here will implement the Strong Minds Program in there own Regions. This is where the Strong Minds Plan will come to life by giving athletes information about classes and activities available locally that will support their plan. 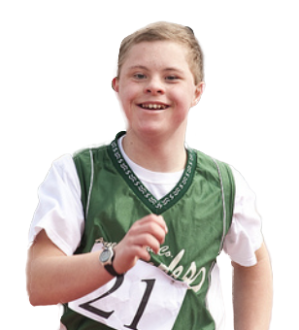 Special Olympics means a lot to James, and it seems the Strong Minds Program will only enhance his determination, "I have the self confidence and skills to succeed. Nobody can take that away from me. If I'm a winner, then I'm a winner. No one can call me a loser."